Pink Bubblegum Smoothie Bowl: Fight Sugar Cravings & Satisfy Your Sweet Tooth! When you’re craving something sweet, that’s your body saying feed me sugar! We don’t have to feel guilty about that, we just have to feed it the right kind of sugar! Fruits in their natural, whole food state, or chock full of fiber, which helps to slow the effects of sugar in the bloodstream, and they’re also loaded with other nutrients that our bodies thrive off of! This sweet treat will hit the spot, without any refined sugar, dairy, or anything else inflammatory that traditional ice cream and desserts contain! This Bubblegum Bowl has two distinct features—it’s flavor and its color! Jack fruit is said to be where the classic Juicy Fruit bubblegum flavor originated from. Fact or fiction, this tropical fruit totally tastes like a mouthful of my chewy childhood favorite! Jack fruit is ripe with nutrients, including vitamin C, potassium, and magnesium, and what makes it unique amongst the fruits is its higher than normal protein content, with 3g per cup! Fun fact: some vegetarians and vegans use jack fruit as a meat substitute, due to its texture, which is similar to that of shredded meat—think: pulled jack fruit sandwiches (it’s a real thing)! 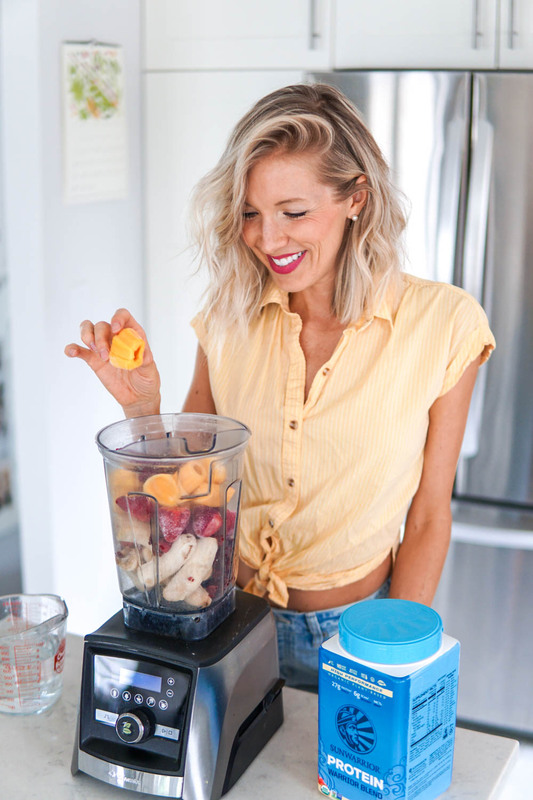 The hubs and I have been making this 6-ingredient smoothie combo on repeat as of late, and it makes for the perfect pre-workout, post-workout, breakfast, or dessert—it’s amazing anytime of day! We always add a scoop of our long-time favorite, SunWarrior Vanilla Warrior Blend protein powder, because it helps to keep us fueled! Pitaya, also known as dragon fruit, is known for its vibrant pink hue, and can transform any smoothie or dish from blah to beautiful. This fruit has a mild flavor and a texture similar to that of kiwi, due to its tiny, edible, crunchy black seeds inside. Thanks to its antioxidant flavonoids, dragon fruit has been linked to better brain health and a reduced risk for heart disease! This vibrant frozen treat is a delight to the eyes and pleasing to the palate, with its pop of flavor, reminiscent of that of Juicy Fruit bubblegum, thanks to our star ingredient, jack fruit! This tropical fruit is actually said to be the origin of the flavor of our favorite childhood bubblegum, and it’s a lot better for you! This blend will have you thinking pink and feeling fine! 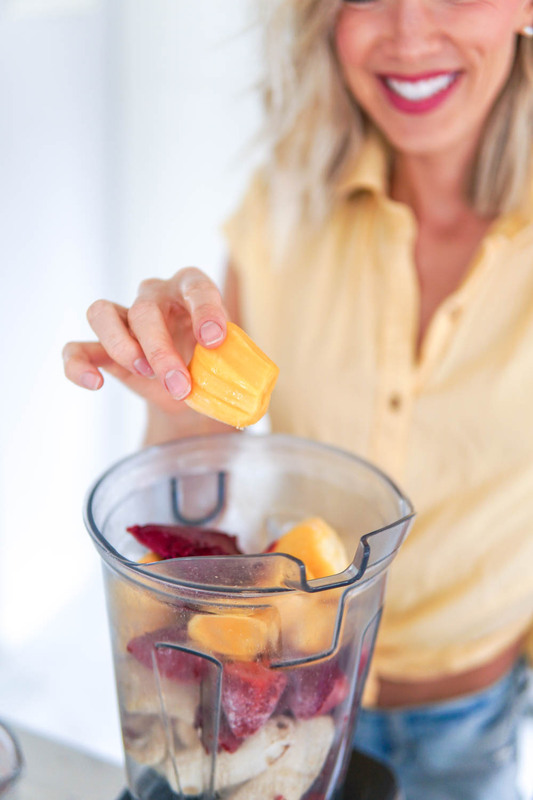 Place all ingredients into high-speed blender and blend until smooth! Top with fruit, nuts, and/or seeds of choice and enjoy with a friend or all to yourself! Before blending, you may want to allow your frozen ingredients to thaw for 5-10 minutes or add extra liquid, depending on the quality/speed of your blender. Try this blend with less liquid for a bowl full of “nice cream,” or more liquid for a smoothie on-the-go! Come hang out with us in the kitchen as we blend up this bubble-icious tropical treat on the EatMoveRest YouTube channel! Be sure to Subscribe, click that bell to turn on Notifications, give it a Thumbs Up, leave us some love in the Comments, and Share with family and friends! Don’t forget to treat yourself in other ways besides just what’s on your plate! Make it a goal for the next 30 days, to treat yourself in some way, small or large, everyday! I’m thinking…an at home spa bath one night, a 5-minute morning meditation one day, and maybe a dressy date night…you get the idea! Make a list and start checking it off—ready, set, GO! Growing up I was never a pink girl. I was always playing football with my brother and his friends, sitting on the edge of the dock fishing, climbing trees, building forts, and getting my knees dirty. My idea of playing Barbies was dressing my black cat (and best friend), Milo, up in doll clothes and pushing him around in my Barbie minivan that otherwise didn't get used. this bold, bright smoothie recipe will convert anyone to love pink, and it will have you glowing from the inside out! Pitaya, more commonly known as dragon fruit, is one of the most vibrant smoothie ingredients you'll ever use--it's magic! Pitaya actually grows on a variety of cactus, and has a mildly sweet flavor, with crunchy, black seeds on the inside, similar to a kiwi. The flesh inside comes in a white and pink variety, and you'll want to use the latter to achieve this glowing, magenta hue. raw, vegan, gluten-free, refined-sugar-free, sassy and sweet! This bold, bright fruit smoothie looks beautiful and tastes divine! The hot pink power-player here is pitaya, more commonly known as dragon fruit. Pitaya is ripe with vitamins, minerals, and antioxidants, such as heart healthy omega-3s found in the seeds, to immune-boosting, skin-glowing, anti-aging vitamin C found in the flesh. This raw vegan and gluten-free delight checks all of the boxes--sip for breakfast or pre- and post-workout! Place all ingredients in a high speed blender and blend until smooth. Pour into two medium, (or one great big) glass, cheers, and enjoy! 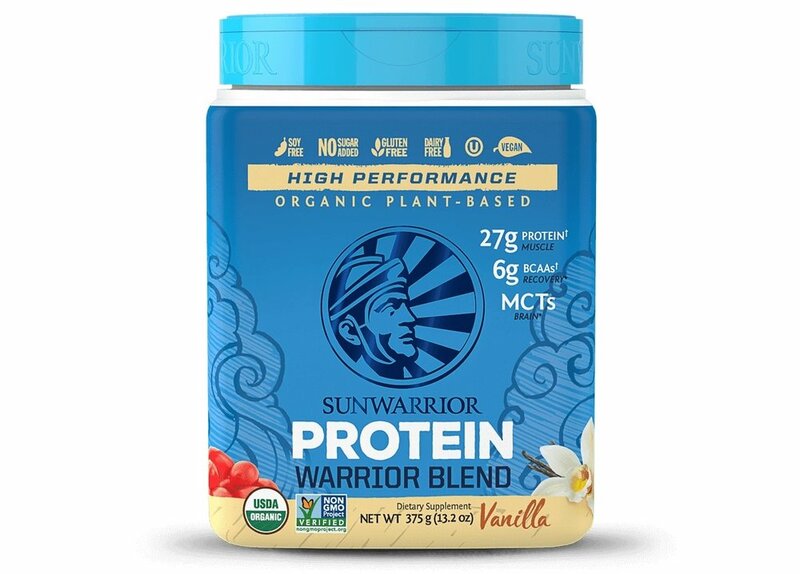 Vanilla flavor + Protein: My favorite organic, raw vegan vanilla protein powder is SunWarrior! Use discount code: EatMoveRest for 20% off of any product! A great flavor substitution would be a dash of vanilla extract or vanilla bean powder. Coconut water: If you do happen to find a young Thai coconut, I'd highly recommend getting a CocoJack to easily open it! 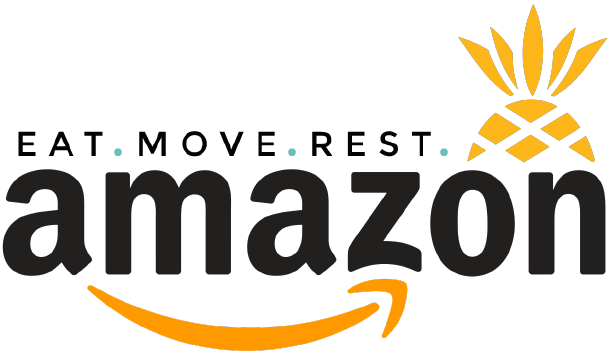 Use the link and/or discount code: EATMOVEREST for 10% off of any purchase! Dragon fruit: The frozen organic, raw pitaya (dragon fruit) that I get is PitayaPlus. If you can't get your hands on fresh or frozen dragon fruit, a quarter-inch slice of a red beet will do the trick for color purposes! Tune In To The Eat.Move.Rest. YouTube Channel! The "Love Pink" smoothie recipe is on our brand new EatMoveRest YouTube channel! 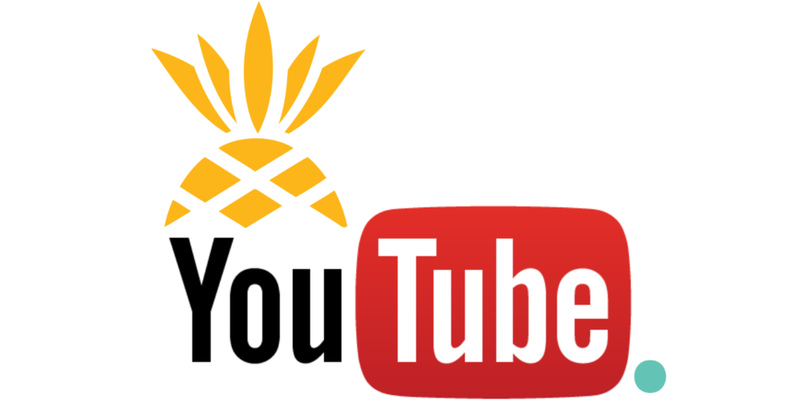 Stay up-to-date by hitting the Subscribe button, give any videos a Thumbs Up if you enjoy them, leave a Comment letting us know what types of content you'd like to see, and Share with your friends and family! See you there! Cheers! Here's a fun variation I like to make when I'm not on-the-go! Make the same smoothie with half the amount of liquid to achieve a thicker consistency, pour into a bowl, and top with your favorite fruit! The hubs and I literally spent the last couple of years talking about the what-ifs of entering the YouTube world and then we finally thought, what the hay! This EatMoveRest stuff is our passion, and we want to bring as many friends, family, and followers along for the ride as possible! 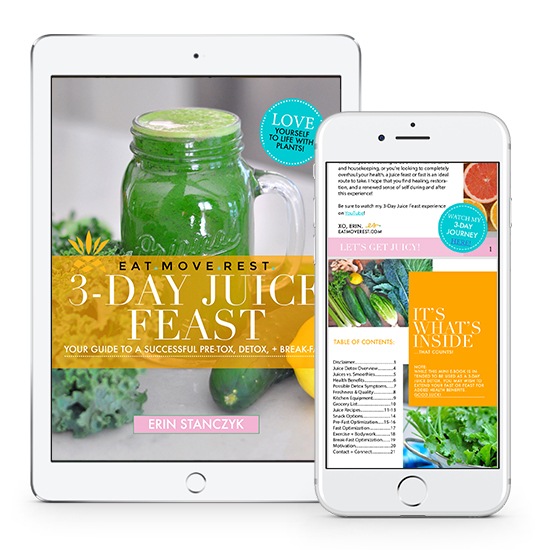 We're looking forward to brings you an abundance of delicious recipes, as well as workouts, rest & relaxation tools, and life & style advice! Subscribe to my monthly In The Raw newsletter to stay in the loop and to receive a discount on EatMoveRest apparel! Until next time, I hope you get to go and blend yourself a tall glass of glowing dragon fruit goodness!